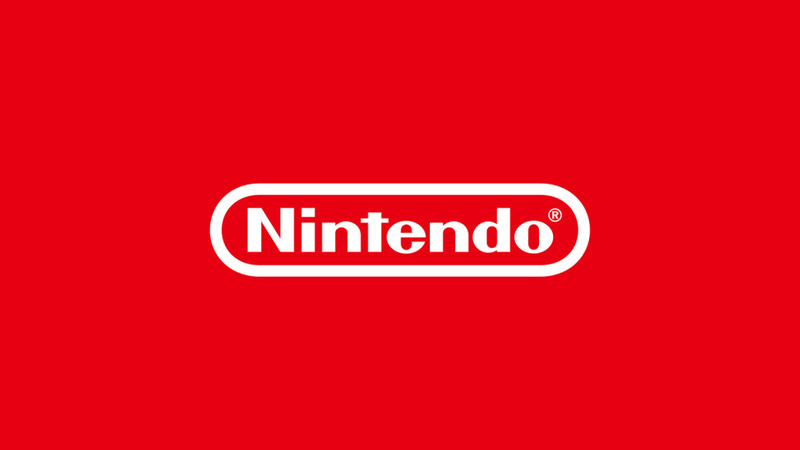 Nintendo's recent investor's Q&A document is now live in English, and a few little pieces of info that weren't covered in the translation of the Japanese version have now come to light - one of which involves the company's plans to expand into China. Nintendo has recently made deals with firms like Nvidia to allow certain key Nintendo titles to be ported to the Shield TV system - which shares the same basic architecture as the Switch - but outside of this, the company appears to be rather cautious when it comes to cracking this huge market. I cannot say anything new at this time about our plans to start our business in China with Nintendo Switch or smart-device applications. We are continuing to look into a business opportunity in China, but the reality is that there are a variety of issues that give us the impression that it will not be easy to do. And although the market for games in China is incredibly huge, the market for dedicated platforms is small, so even if we were to enter into China, the challenges we would face there certainly would not be simple ones. Even so, I would very much like to try and see how receptive the Chinese market would be to Nintendo IP. The amazing potential of the Chinese market is something the entire games industry seems focused on tapping these days, but as Furukawa says, there are notable roadblocks which have to be overcome before the company can truly capitalise on this massive - and game-crazy - audience. The 14-year ban on games console was lifted in 2015, but the focus in the region remains on smartphone and PC-based online games, and consoles have yet to make the same impact they have in other parts of the world. It can't be as hard as Brazil, right? Oh, speaking about Brazil, i heard 99Vidas by QuByte will be released on Nintendo Switch this year. But the question is....WHEN ?? It's almost the end of year 2018. China... let's all admit it, Nintendo is 100 times better then playing games on your phone and pc. @Sharks phone yes, pc maybe not. Keyboard and mouse is superior for some games, while a game pad is for others. I just don’t think that touch controls are superior for anything but angry bird like games. I play a lot of hearthstone, that’s on my phone. I used to always have a 3ds in my pocket. Now my switch is with me everywhere. @ReaderRagfish at least, Horizon Chase is getting a switch release. And I hope Chroma Squad came too. They won't pay for games. Switch piracy began in China, just like 3DS, DS, Wii U, Wii, etc. @Anti-Matter we'll they tweeted some days ago that 2 games were approved by Nintendo for switch (announced coming later)... they are also responsible bringing Vasara 1/2 HD collection on switch too, so maybe they meant that and 99Vidas by that. Sadly, its going to be rougher, now that I know recently that the Chinese government want to limit playtime to 1-2 hours for everyone under 18. They want to curbstomp on video game "addiction", because they are disgusted with the unproductivity they see. I'm not sure it would be all that difficult. Millions of people from the Mainland visit Hong Kong for shopping, and they will have encountered the huge computer centres that have an abundance of the main consoles. Nintendo wants to break in ? In China ? They already play with the Switch 3 PRO there.. Yes it will. Just re-skin an existing cellphone MOBA with Fire Emblem or Zelda branding and there you go. The problem with the Chinese market is how they have a big problem with knockoff hardware and hackers ruining everything. I see all these steirotypes about people in China always doing anything with "honor". Somehow it's one of the biggest places of piracy in the world. I think somebody mixed something up. @MysticGengar said "Somehow it's one of the biggest places of piracy in the world." Yehh, we kinda have that as well in Brazil. They're called Camelôs lol. `Pirates, Pirates Everywhere! @ReaderRagfish Brazil is a mad one, look how successful over a long period the Master System was there. It did incredibly well! With the rampant piracy, dislike for foreign businesses, and borderline government-enforced oligarchy. I wouldn't expect as much as Nintendo does from China. That's why I've posted that GIF ! With so many knockoffs, pirated games, and knockoff consoles with pirated games, I'd imagine it would be hard to compete. Not many people here obviously know anything about China. At least not more than they want to know... How can Nintendo say anything like this if they never tried? Taobao is full of Switches and Games, all imported and a small surcharge added. The leave all the business to these sellers. The problem only starts on the customers site as they have less localized games (Ubisoft got the grip and offers Chinese language). Bad online connectivity and no eShop in local currency on top of that... China is a mobile game crazy market. That was Nintendo's key message why the switch will be successful. Because people DO mobile gaming. Now they use it as an excuse to NOT enter a market?! 1. Lack Pf products on a market boost piracy. All this DVD markets and fake markets popped up because brands and companies neglected the Chinese market for a long time, but the customer demand was there. Same happens in western countries with streaming. Why do a lot of people use illegal streams? Because no legal or reasonable priced alternatives are available. 2. Many of the counterfeit products have the original product manufactured in China, but the original product is either not available in the market or has a price tag so sky high, that less then 5% Pf the people can afford it. This is the destiny for being the workbench of the world. China produces almost every high tech product that you guys have at home, but at the same time, almost no-one there can afford the products. What's the solution? Use the same technology and production line to produce the same products with a different name and a "Chinese" price tag. I don't want to defend piracy, I just try to give an explanation what is boosting this kind of activities over there. If you want to fight piracy, the first step is to offer your products. Second step is more difficult, as you should offer the product reasonably priced for the region. Put this way there probably black market Nintendo Switches in China already. Just matter of time before they show up. Nintendo should make a new IP called "League of Myths," a MMO deck building/battle royale for people with no social life, or financial prospects, or sense of personal hygiene. Was that too much? I'll level the playing field. If they want to reach #1 in the U.S., all they need to do is make a new IP titled "Battle Duty Unbound," an MMOFPS deck building/battle royale for people who really have an unhealthy relationship with guns, and a romanticized notion of what war is all about. HOTCAKES people, they'd sell like HOTCAKES. @Sharks its 10 times more expensive for sure. It’s really unfortunate the Chinese gamers never had access to NES, SNES, N64 etc and the gems that were released on those consoles. We are complaining about no Mother 3 or Secret of Mana 2 but Chinese gamers had access to far less of these classics. I think the Chinese people would have a far more positive image of Japan if they had access to these classic games.